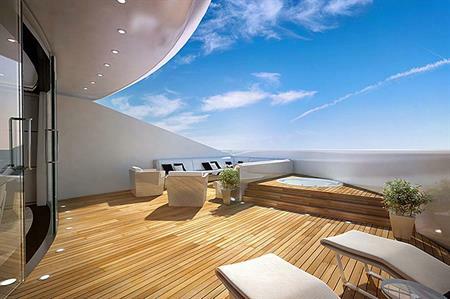 Sunborn's five-star luxury yacht hotel, moored in Gibraltar, has appointed Perception Sales & Marketing as its UK MICE market representative, offering events space for up to 600 people. The 142-m yacht has 189 bedrooms and a 675m² conference suite with flexible configuration options and a total capacity for up to 600 people. There are six meeting rooms for up to 200 people and a ballroom for 360. Al fresco dining is possible for 180 guests with a top-deck restaurant. At the back of the yacht, the sun deck bar and lounge can be used for cocktail receptions, product launches or presentations. The yacht also has a pool and spa. The recently opened £90m airport is minutes away by car and Tangiers in North Africa is only 15-miles away across the Strait of Gibraltar. Gibraltar also offers nature reserves and botanical gardens, panoramic vistas from the summit of the Rock, beaches, watersports, and ancient limestone caves. Spain’s world famous Valderrama golf course is close by. Nearby venues include the subterranean St Michael’s Cave, sub-tropical Alameda Botanical Gardens and top-of-the-Rock Mons Calpe Suite. UK-based MICE specialist Perception has been appointed to organise sales and marketing for the Sunborn Gibraltar. Perception's founder Cath Couzens said: "Sunborn Gibraltar will create a valuable new resource for those in search of a memorable conference and events venue in a relatively untapped Mediterranean location with all the language, currency and travel advantages afforded by Gibraltar’s status as a British overseas territory." Sunborn Gibraltar will be the first of a new breed of Grand Luxury yacht hotels, with moorings planned in London and Barcelona and projects under development in Europe, USA, South-East Asia, the Middle East and Russia.